Kim's new series is inspired by the artist Diego Rivera. After her recent travels to Mexico and San Francisco while visiting museums. 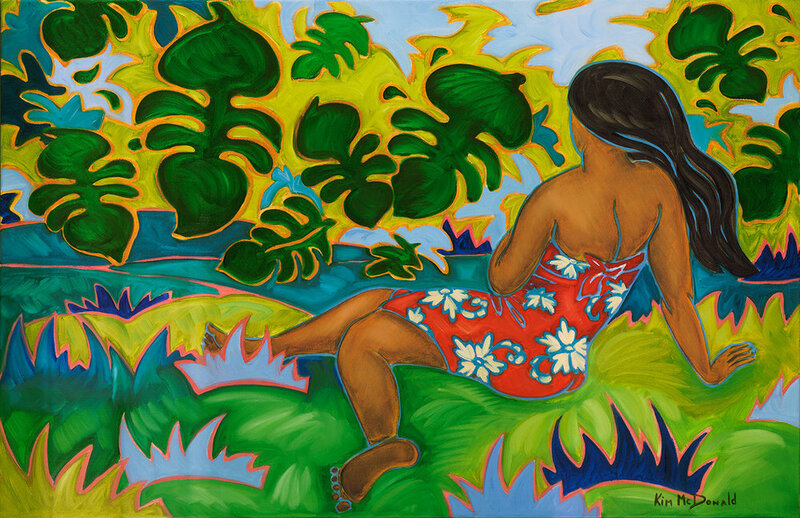 "I studied his work and was inspired to simplify my figurative work while still having my Polynesian subject. Making things a little more stylized and a little more simple."